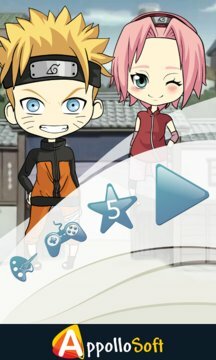 If you've been wanting to create a boy and girl anime, here is you chance! 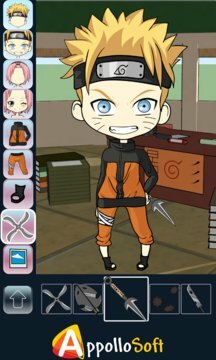 Try out the many hairstyles, clothes and hand gestures available to find with Naruto Dress Up the best one! Moreover you can change your page background and find available effect for your new heroes and Appollosoft always help you with your difficult situation.